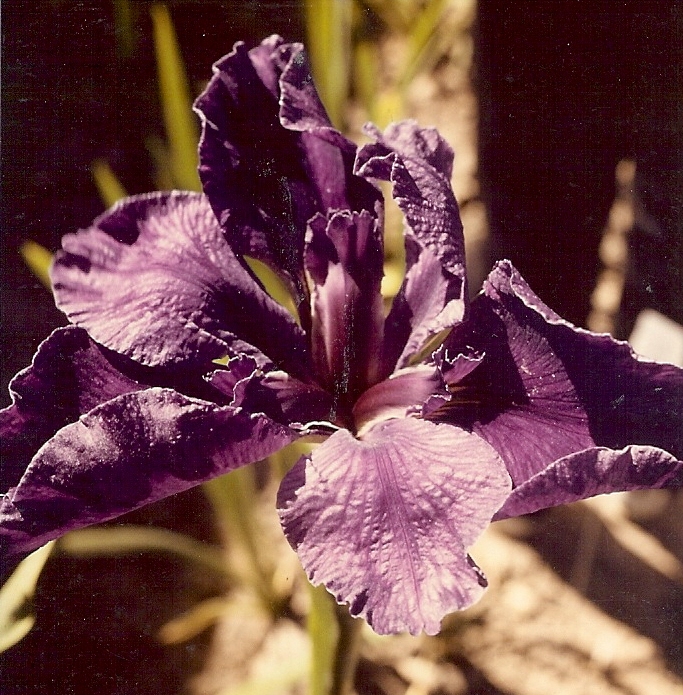 'Satchmo' ( Mary Dunn, R. 1986) Seedling L80-80-1. LA, 34" (86 cm). Midseason bloom. Bright blue purple, very dark in center of Falls. 'New Offering' X 'Full Eclipse'. Bay View Gardens 1987. Honorable Mention 1989.